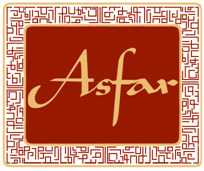 Asfar, has worked in North London and South London, specifically Hackney and Lambeth since its early days of conception. Through its youth-led Middle Eastern e-Journal, promoting an alternative view of the region through culture, society and the arts, and then through its British Council youth initiative Inspire-Develop-Create delivered in the borough between 2013-2015; and its Erasmus+ Dynamo YE youth exchange in 2015-2016. Inspire-Develop-Create, encouraged the inclusion of young people from Dalston from diverse educational, cultural and socio-economic backgrounds to develop their creative and entrepreneurial skills in writing, photography, publishing, social media and education through their active participation in investigating Democracy, Citizenship and Culture, Society and Creativity in the Middle East outside of the boundaries of politics and regional conflicts. 32 young people from Hackney participated in the programme, through a series of informal and non-formal learning workshops and activities at Asfar’s key partner CareerWise Consultancy, The ELISE Centre. Young people developed their inter-cultural understanding, skills and explored their citizenship, while also learning about basic photography skills. Inspire-Develop-Create also promoted the development of young people’s own social action projects and encouraged them to participate in volunteering. Asfar’s Inspire-Develop-Create programmes also improved young people’s employability, confidence in society and their interaction with wider communities and cultures. Fundamentally, the project aimed to engage with young people who would not traditional participate in Democracy, Citizenship and Civic society, who have not experienced different cultures and people from diverse communities from their own and who were facing personal barriers to participating education, employment and training. In 2015, Asfar launched its second Erasmus+ youth exchange programme in Dalston and Brixton for young people living in Hackney and Lambeth. Erasmus+ Dynamo YE brought young people from London and Amman, Jordan to participate in a two-way inter-cultural youth exchange which focused on different societies, culture, artistic and enterprise skills, informal language skills, active citizenship and the promotion of cultural tolerance, fostering an international platform for social cohesion between UK and the Jordan. Dynamo YE specifically targeted the travel opportunities to young people who were unemployed, faced financial barriers and had never been to the Middle East to develop a youth network of mutual understanding between diverse cultures, encouraging intercultural investigation in key topic such as: Society; Culture; the Arts; Literature; Politics; Democracy; Citizenship; Social Action; and Cultural similarities and differences. Alongside the above skills, young people developed enterprise skills which was designed to mobilise their artistic self-expression for the world to see, initially utilising Asfar’s own e-Journal and then eventually through their own methods and platforms. Alongside its delivery, Asfar’s development consultancy services supported the initial development of CareerWise and a number of other organisations based in the ELISE Centre, Daltston Junction from 2014 to 2016. Asfar obtained 2 of CareerWise’ major youth, welfare to work and apprenticeship programmes as well as designed CareerWise’s Youth in Action youth exchange programmes for young Hackney residents. From 2013 to 2015, Asfar provided development consultancy services for Lambeth NGO LITC, with specific focus on fundraising, business development and management of its’ Sport for Development department. This built upon the work of Asfar’s CEO, who was Partnership Manager for LITC from 2011 to 2013 and mobilised LITC from a micro-training organisation into a Welfare to Work, Apprenticeship provider and Youth international NGO.